Super slim and packed with features. Mi TV is virtually frameless. We use one of the best panels from Samsung and LG to create a 47” 1920x1080 Full HD television with a super slim profile and an 8.4mm frame. Mi TV also supports Dolby Stereo and DTS to bring you the best audio experience. 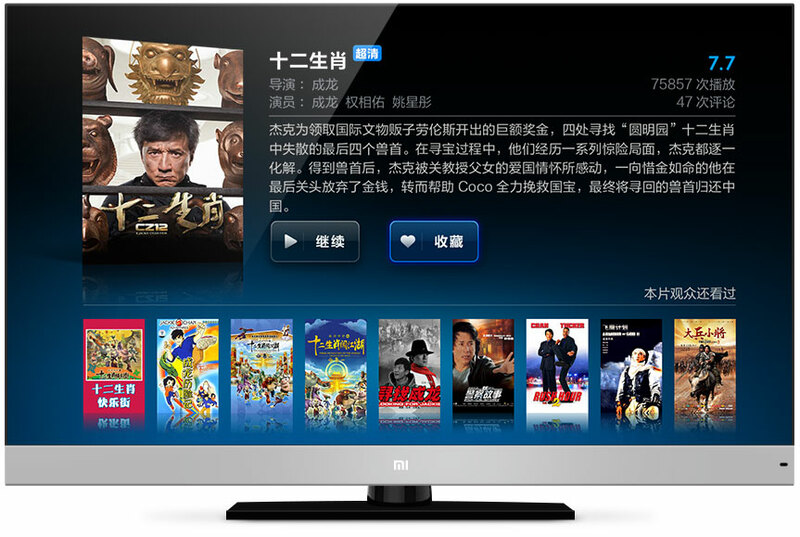 Mi TV system integrates a built-in Mi Box to offer thousands of free HD movies and TV shows. 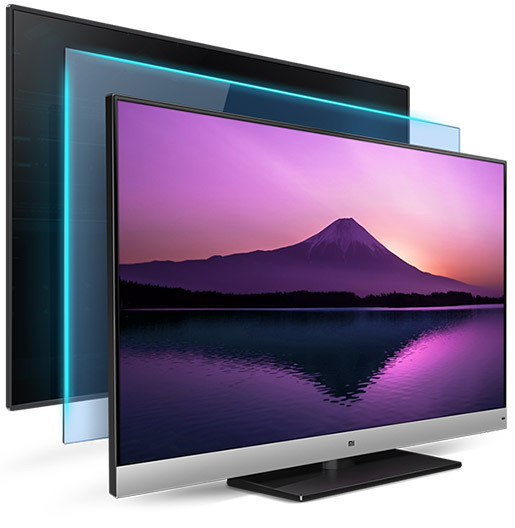 The MIUI TV system supports Miracast, WiDi, Airplay, DLNA, SMB, and mirrors photos and videos directly from your phone or PC. The 2X2 dual aerial 2.4GHz/5GHz dual Wi-Fi Channel makes streaming seamless. The best gaming machine. We’ve turned Mi TV into a gaming monster by capturing the Dragon. 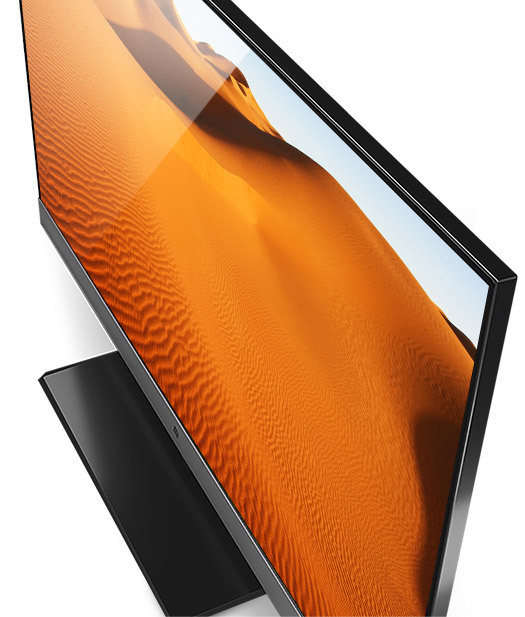 Inside Mi TV is Qualcomm’s latest Snapdragon 600 quad-core 1.7G processor, an Adreno 320 GPU, and 2GB DDR3 of memory all together with 8GB of eMMC 4.41 storage. Connect your gaming controller and headphones via Bluetooth® 4.0, and you are all set to win. At 8.4mm, the frame exists without being noticed. Mi TV. Top of its class. At the top of its class, this 47”, 3D smart TV integrates both the Mi Box and quad-core Android game box into a slim display. Mi TV provides clarity and a captivating visual experience from any angle. you will never miss any scene, even from the edge. Everything comes alive with 3D. 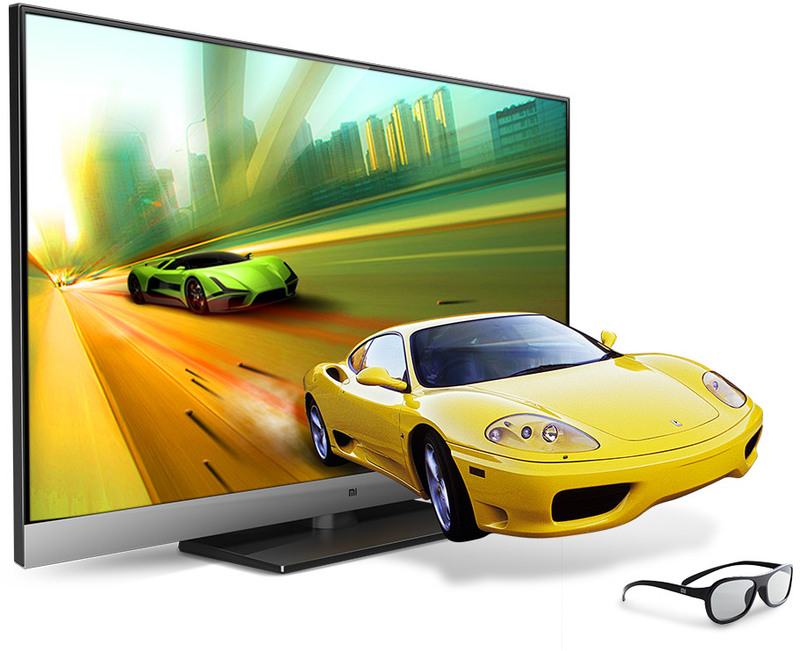 Experience home entertainment in 3D! 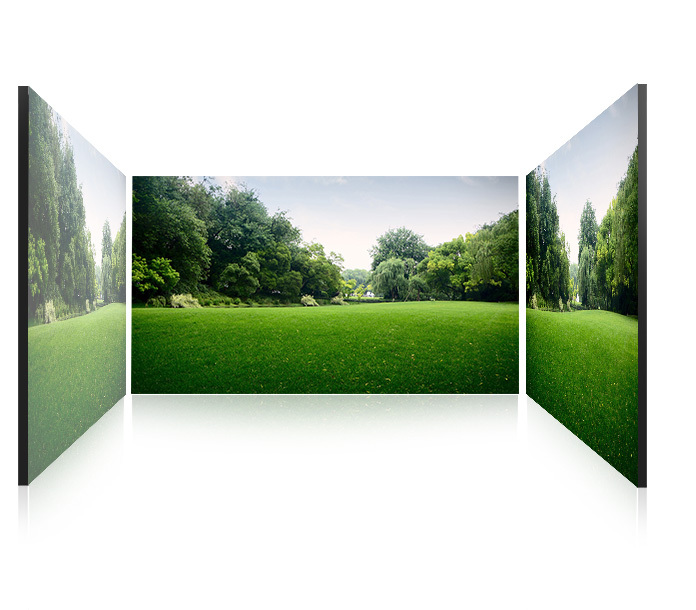 Each 3D display comes with two free pairs of 3D glasses. How did we make a real fast smart TV? We select the top processor to run the calculations. handles all the HD contents and games. without compromise and enhance the visual experience. It’s all about speeding up. 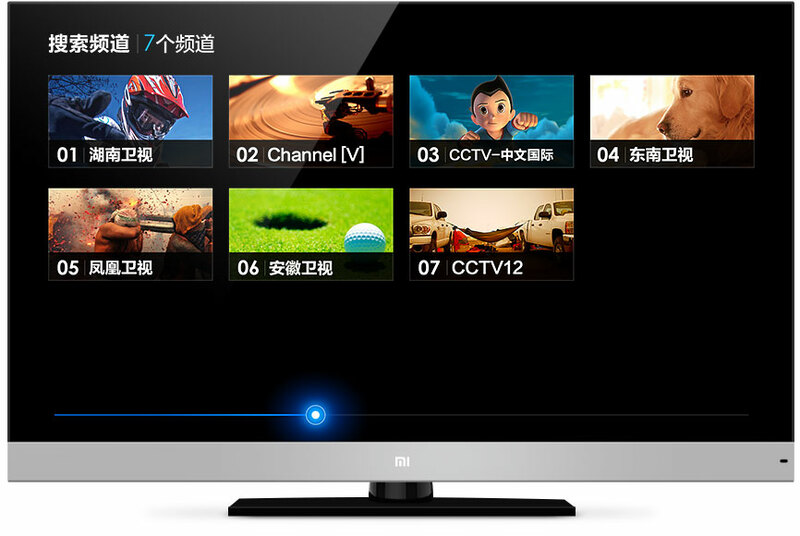 Mi TV is the first smart TV to use 2G DDR3 dual channel memory and 8GB eMMC high speed flash memory. while the eMMC high speed flash memory controls apps, games, and multi-media storage with ease. with MIMO technology to bump the speed. Put on your headphones. Now, it's just you and the TV. Wireless gaming, no strings attached. Play games and music or view photos and videos by streaming apps from your phone or tablet to your television. 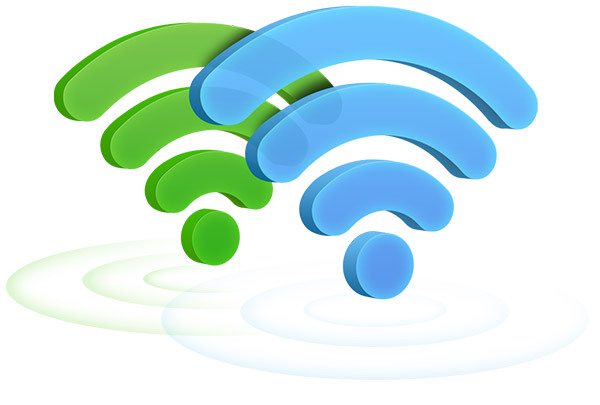 Simply share via Miracast, Airplay, DLNA, WiDi and SMB. We ensure every pixel is brilliantly luminous. by Dolby lab to ensure an amazing surround sound experience. in back. This allows you to connect video-audio hardware, computers, speakers or game consoles. Play videos and music directly from flash or external hard drive. 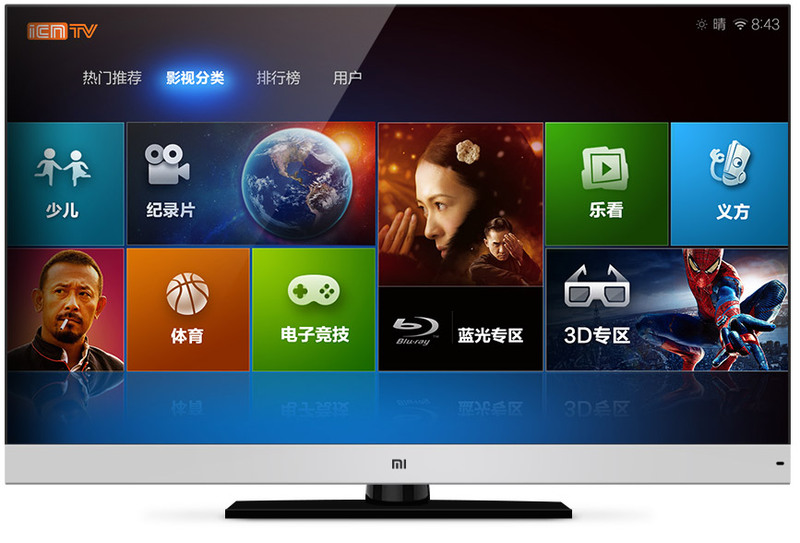 Mi TV supports multiple HD formats such as MKV, AVI, MP4, MOV. to make it natural and intuitive to use without a glance. Control it from your phone. to download the Mi Remote app to control Mi TV. We redefined the television experience. Save your favorite channels and download apps or games on Mi TV. 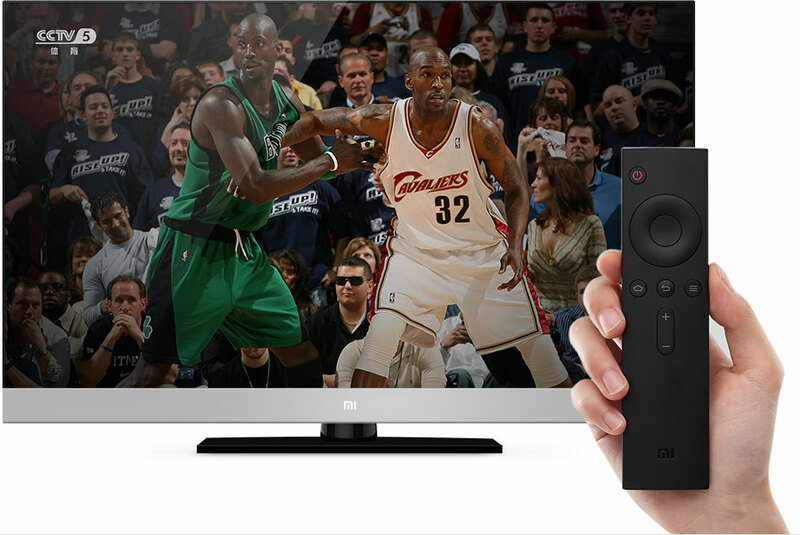 Move quickly and seamlessly between movies, TV, apps, radio, and games. 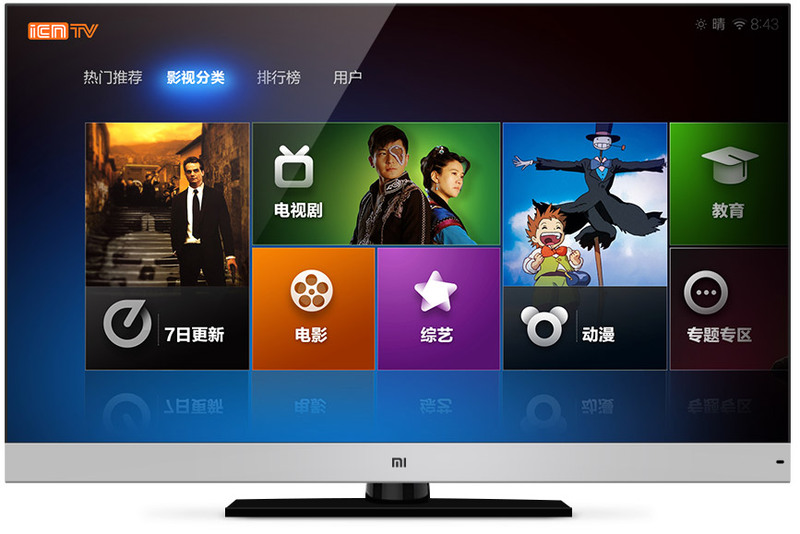 Mi TV’s operating system, MIUI, has two storage units. One securely stores existing information, while the other unit installs the latest upgrade. 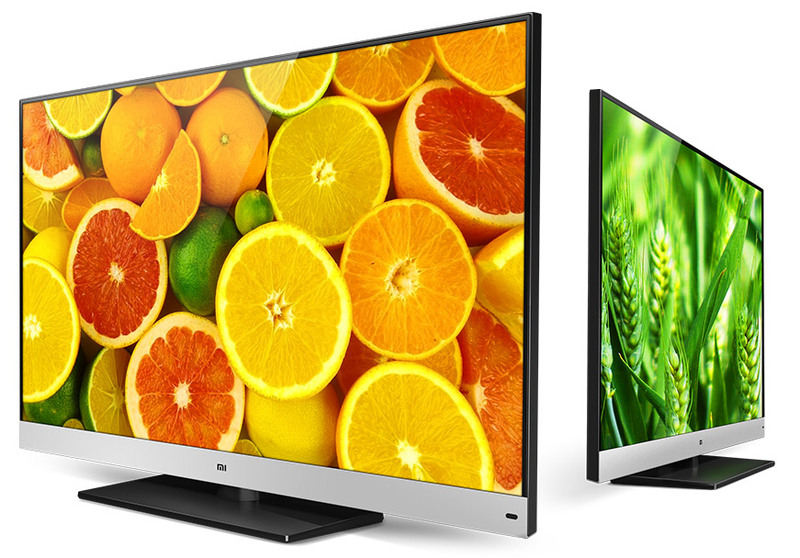 Mi TV’s anodized aluminum lower body pops with color. Mi TV effortlessly mounted on any wall. 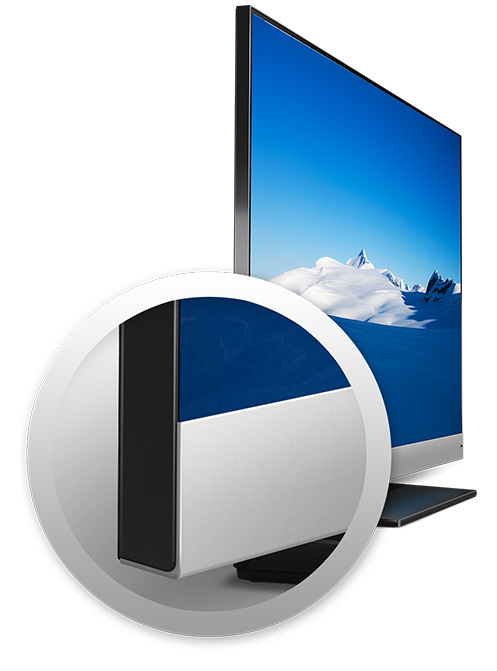 Mi TV is artfully crafted with anodized aluminum. 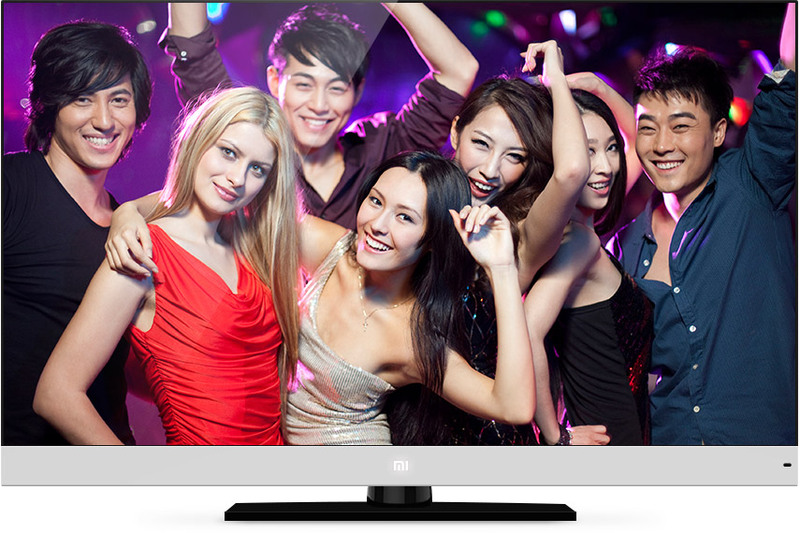 Mi TV is designed in six different colors to compliment any space. 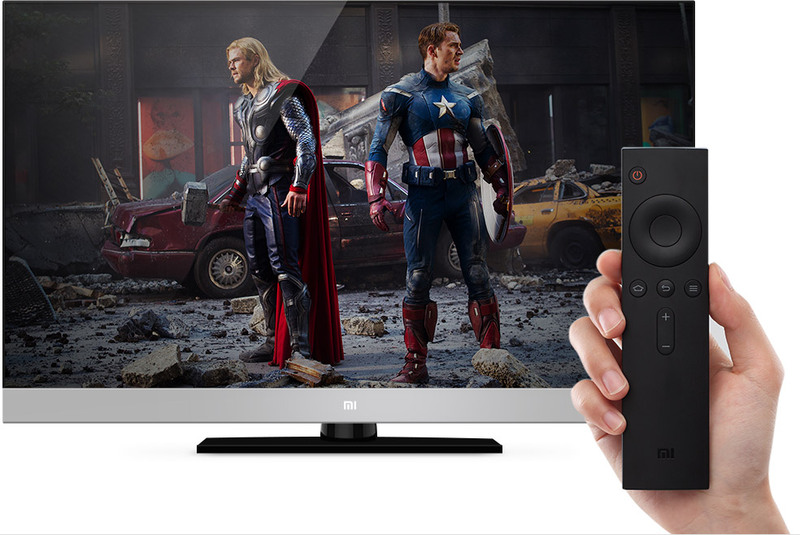 Simply touch the logo to turn on the Mi TV. 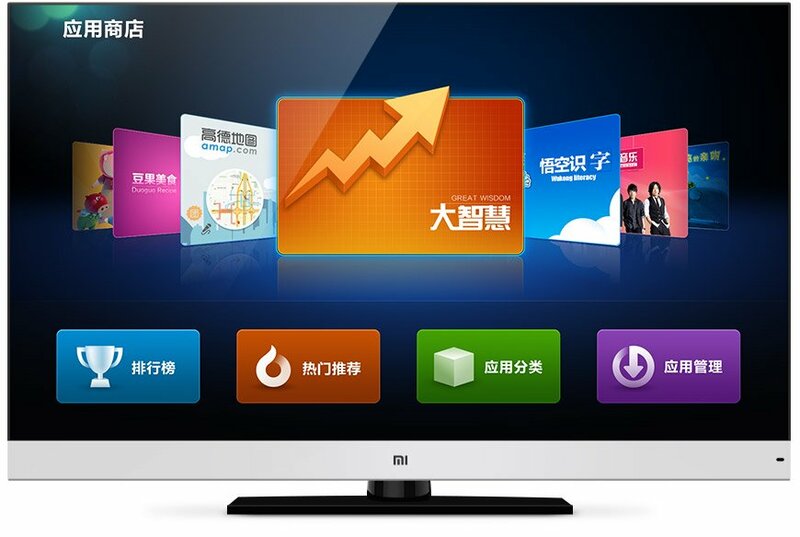 Each Mi TV function has been tested thousands of times. This is the Mi standard. More Functions, yet easier to use. 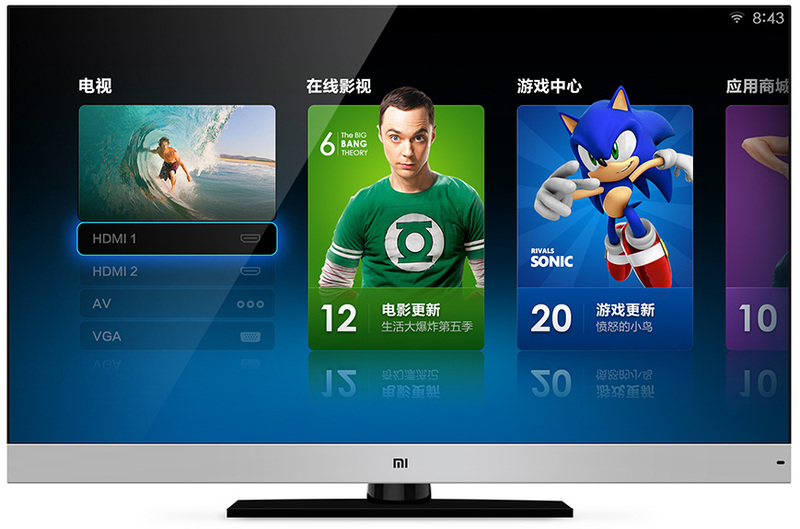 Mi TV offers HD movies, TV, radio, apps, and video games in one slim design. You can intuitively navigate every function with the beautifully simple 11-button remote. 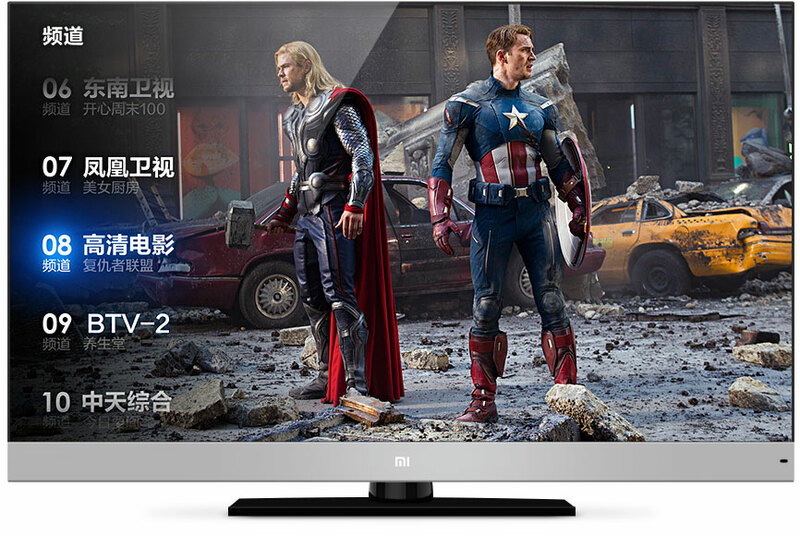 Thousands of popular HD movies, and more added every day, are available from Mi TV. Watch the latest blockbusters at home. *4+Mb bandwidth is suggested to ensure a smooth watching experience. 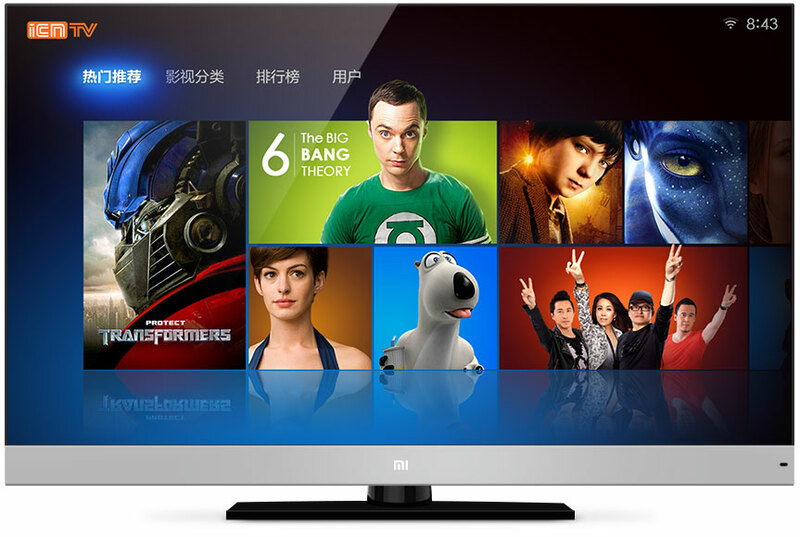 Mi TV brings you TV shows without ads. 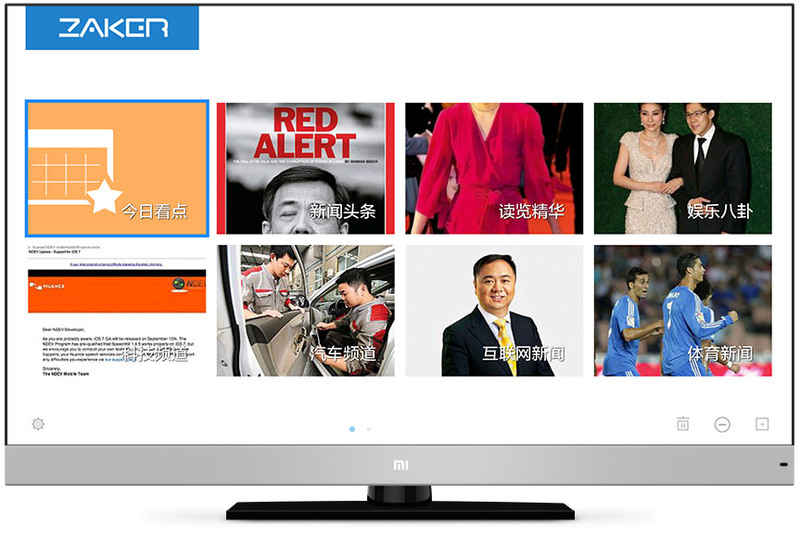 With the press of a key, Mi TV turns into a sophisticated online radio station, complete with streaming lyrics. You can also download your favorite radio apps from the App Market. 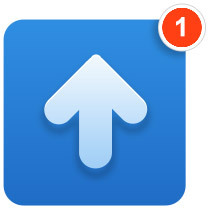 Install your favorite news apps from the App Market to receive the latest news. 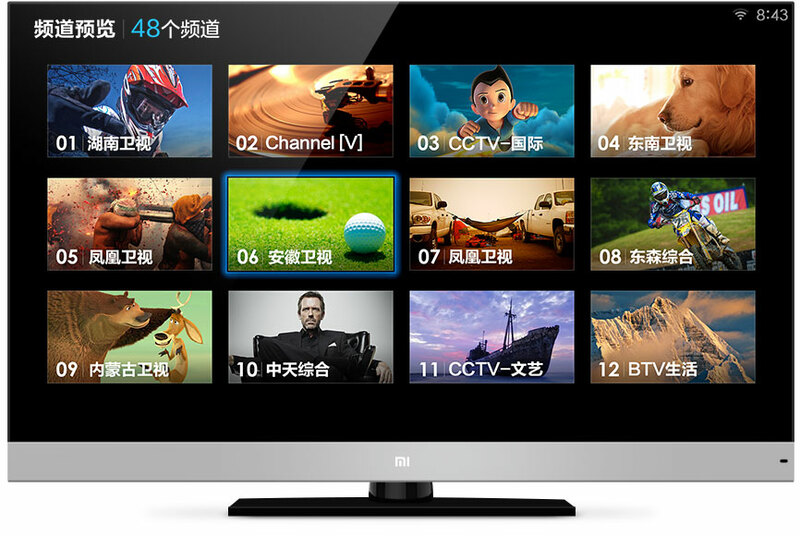 Mi TV enhances the TV watching experience with cutting-edge methods of searching, bookmarking and browsing. Press the "Confirm" on the remote to browse a list of TV programs. Press "Right" on the remote to preview all TV programs at a glance. Use "Up/Down" on the remote to change channels. Press "Left" on the remote to select from history, favorites and most watched channels. 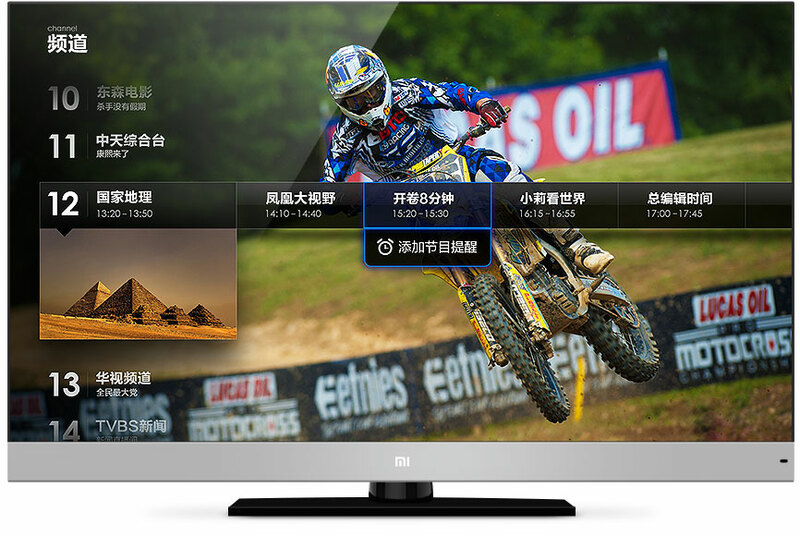 Mi TV is the fastest smart TV in the world. 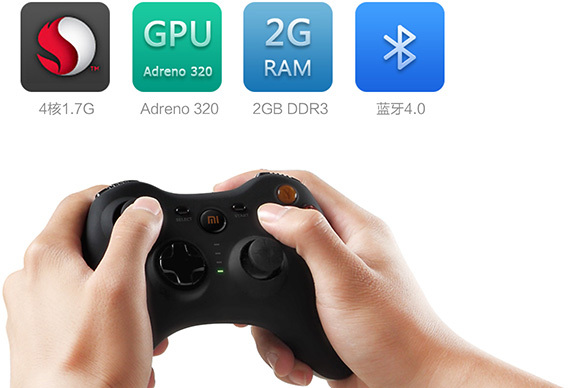 With a built-in Mi Box, the MIUI TV system makes it possible to switch channels instantly. - Standard, Vibrant, Cinematic, Sports, etc. - create a captivating viewing experience. Stream free 1080p HD movies & TV shows. We partnered with internet streaming platforms to bring you thousands of the latest HD movies, TV dramas, TV shows and cartoons. Enjoy the latest in Blu-ray and 3D movies right at home with continuously updated content. Full display apps and games. Apps and games can be directly downloaded from the App Market or Game Center. Whether it’s social, News, Plants Vs Zombies or Angry Birds, they all fit perfectly on the screen. 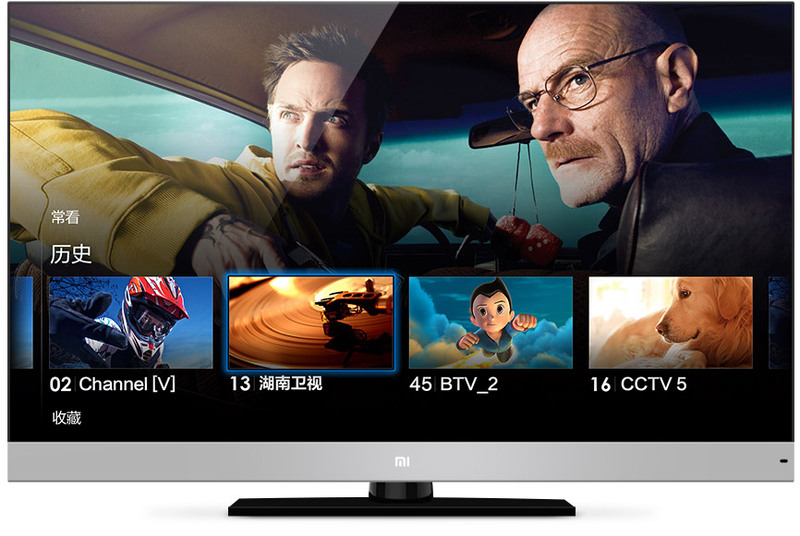 MIUI TV system updates every month with the latest features and functions. During each update our unique dual-system technology ensures no data is lost by safely storing all information.